Helping Home and Building Owners make the right decisions about designing, building or remodeling their real estate. Now you can get fully professional, unbiased information on the best ways to go about building, remodeling, or otherwise improving your property. 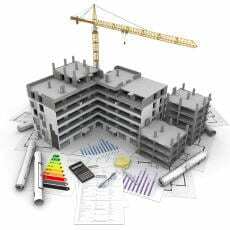 - Ideas, sketches, cost estimates and technical information are provided to help you plan your building or remodeling project. - He is an expert on local building costs, codes, regulation and real estate. One stop counseling service with no further obligation. - Sketches, technical data, and reference material are provided. Any counseling meeting is guaranteed to save you many times its cost. Below is the Design Counseling Package. Some preliminary information from our clients’ is needed to make the meeting more productive and to save you money; So please review the ‘Items to Bring’ list enclosed to get a better idea of what to prepare/ bring with you to the meeting.